-As you know, sports can bring all communities together regardless of race or ethnicity or background and unite them to root for something special in a positive way. Sometimes in these sports, we're able to witness greatness from the start and all the way to the end. You've seen their high school highlight tapes. You saw them shine in college primetime games. You saw them win national titles. And then they hit one of the most important stages of the sport. The draft. In basketball's case, the NBA Draft. Where it all kicks off. This is a big event for many fans as some anticipate who their team will pick with a top 5 pick, while others just go for fun. 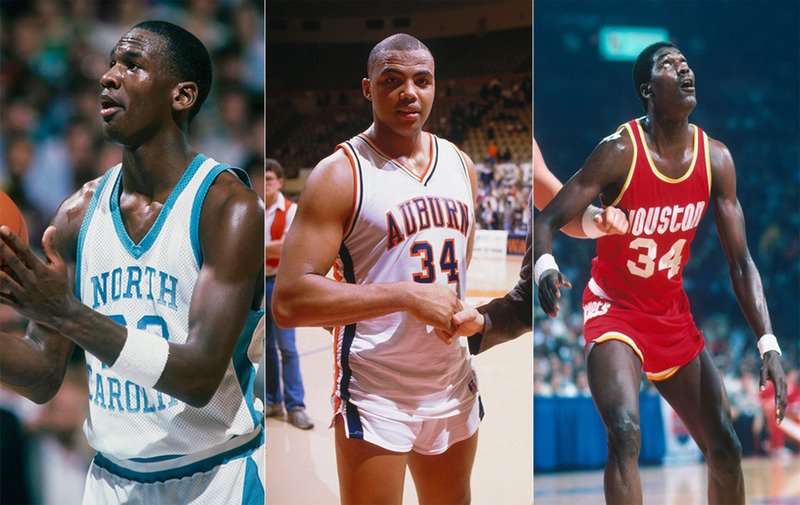 Since we have been able to witness such greatness from many different classes, we decided to take a look at the greatest draft classes of all time. Now, truthfully, this is tougher than imagined, as there are three huge classes that spawned a number of all stars. Those 3 tend to fluctuate in importance, but those three remain the most solid. However, what about the other classes? Certainly, there have been other years that were really solid, right? Over the recent years, there haven't been many, but there have been some. The 80's had a ton of nice draft classes, as you'll see on this list and while the 90's had a few good classes, as well, the 80's takes the cake for the best draft decade. 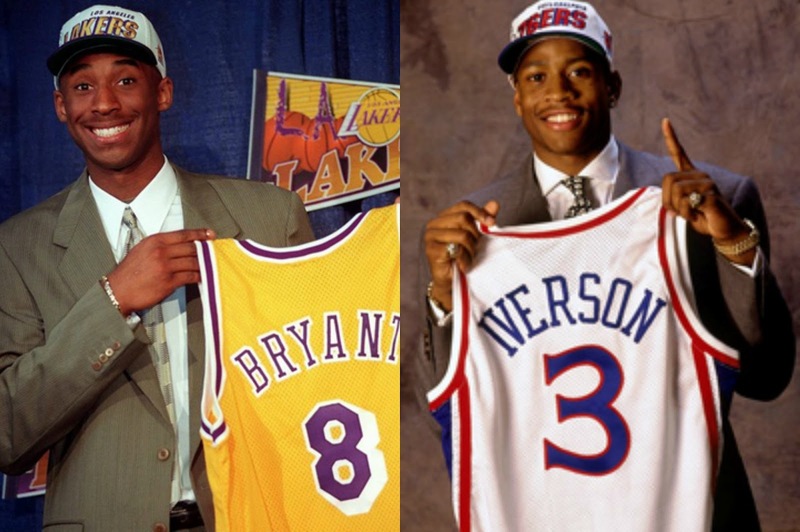 Regardless, today we compiled a list of the top 5 NBA Draft Classes of all time. Before we get into the top 5, let's take a took at the honorable mention. -Sometimes the no. 1 pick isn't even the best player in the draft. Sometimes the draft class is so thick that there are gems outside of the top 10. Always there are future superstars waiting in the draft. 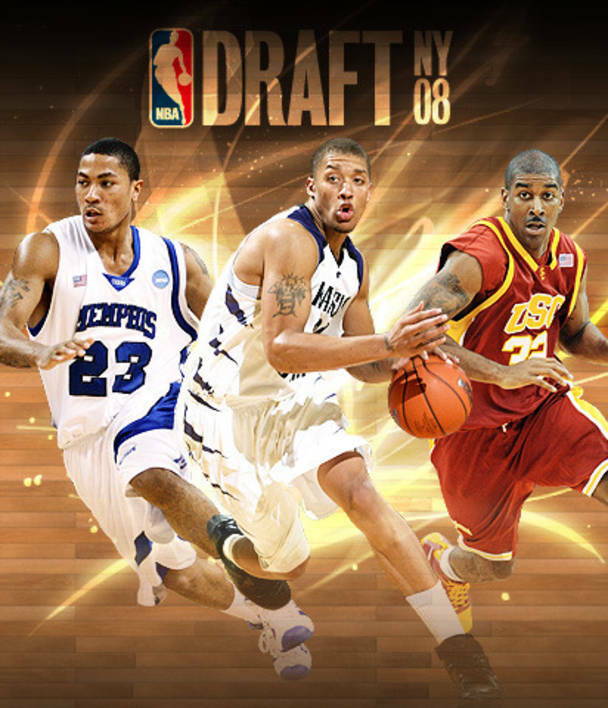 The 2009 draft is the last truly great class so far, as the no. 1 pick Blake Griffin has become a force in Los Angeles for the Clippers despite being a bit injury prone, and although he wasn't necessarily seen as a star at first, James Harden has evolved into a star, as he was the 3rd pick for OKC. 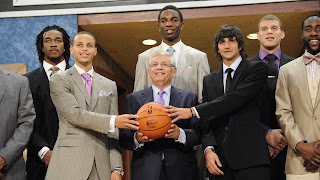 Tyreke Evans would end up as the 4th pick and seemingly the most successful of all the rookies, but the biggest story of this draft is the 7th pick, the back to back 2 time MVP, NBA Champion, Scoring Champion, and the man who possesses the top 2 records in history for three pointers in a season, Steph Curry. 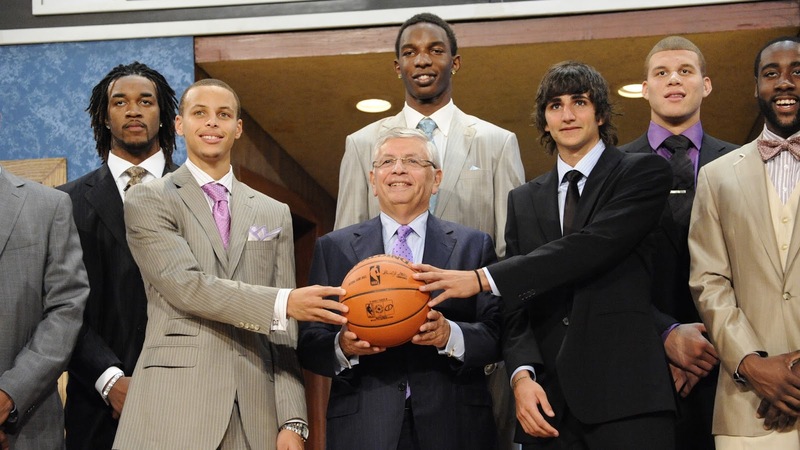 Steph makes this draft so great, but he's not the only piece of the puzzle for this draft. DeMar Derozan was selected 9th, Jrue Holiday select 17th, Ty Lawson at the 18th pick, and of course the recently traded Jeff Teague was taken 19th. Taj Gibson was taken late in the first round, as was DeMarre Carroll, rounding out a solid first round and some good choices all around. While not THE best, it's one of the last real successful drafts. -This is one of my personal favorite drafts in all honesty. The depth in these rounds definitely makes it one of the best with some of the best players over the last 10 years coming from this draft. The no. 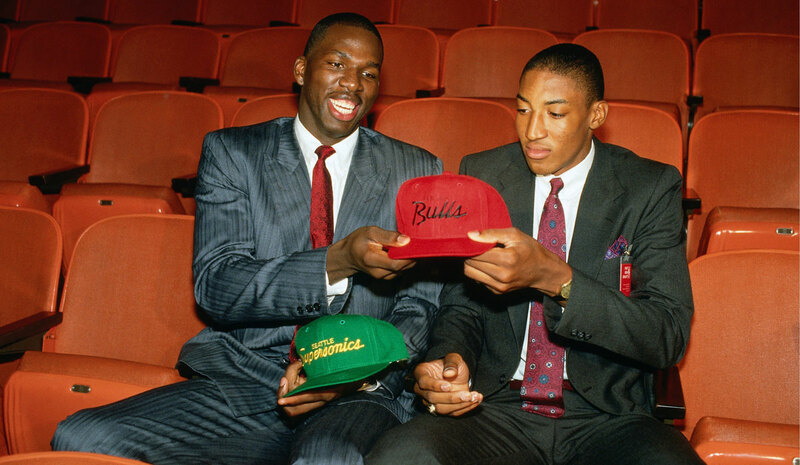 1 pick was no shock to me and I was excited for my Bulls, as we got Derrick Rose. This draft was positioned to be the best one since 1996 and in many ways, it was and still is. While Michael Beasley and O.J. Mayo, the no. 2 and 3 picks, never really lived up to the hype and potential overall (for a moment they seemed like they would), the no. 4 pick has exceeded them all. Russell Westbrook is now known as one of the best PGs in the game and has a claim to being one of the 5 best players in the game period (some would argue he's the best overall player, besides Lebron). Rose and Russ make this draft honorable mention worthy already, but there's even more. New NBA Champion Kevin Love was selected 5th, Brook and Robin Lopez were selected within a few picks of each other, Roy Hibbert (an overall disappointment but still), Serge Ibaka, Batum, and two back to back solid 2nd round picks in Mario Chalmers and DeAndre Jordan. 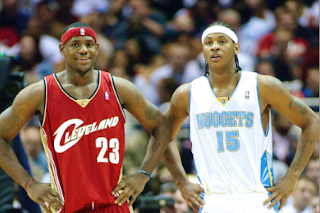 While the draft hasn't spawned many legends YET, it was truly stacked and has spawned some superstars and champions, and a MVP. -This draft is often forgotten in some way. It's understandable, but this draft is honestly stacked, once look beyond the first pick. While Michael Olowokandi wasn't a big factor in the NBA after this draft, Mike Bibby would adjust and become a very solid player, Antawn Jamison would start a solid career, but the real bread and butter of this draft comes from the 5th pick and on down. Vince Carter went at no. 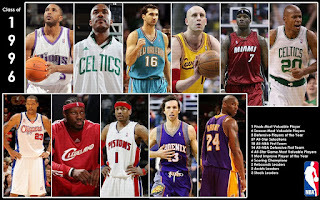 5, the "White Chocolate" Jason Williams went at no. 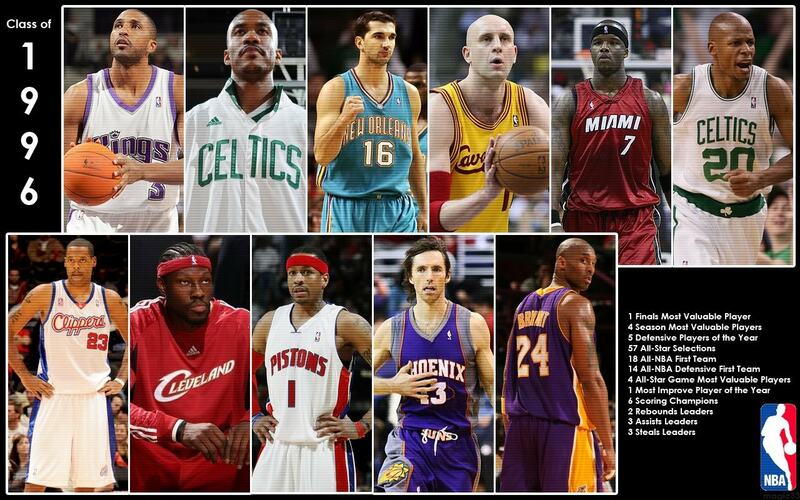 7, Larry Hughes at no. 8, and then the legend Dirk Nowitizi landed at no. 9 while future NBA Champion Paul Pierce would land at no. 10. That's a hell of a lineup in that no. 5-10 pick group. Tyronn Lue, the coach who just won a ring in Cleveland, was also a first round pick in this draft. Rashard Lewis, Cuttino Mobley, and Rafer Alston were also 2nd round picks and while neither of them were huge big time players, they would build decent careers for themselves and become somewhat memorable. 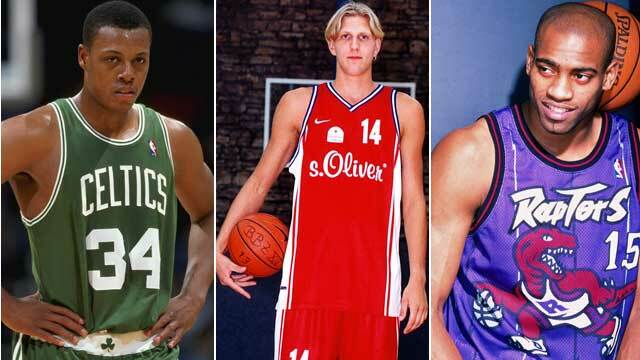 With Vince, Dirk, and Pierce in the same draft though, how could you go wrong? This is definitely a legendary draft for that reason alone. -This is truly one of my favorites and yet another slept on draft class. Let's look at the names and legends in this field, shall we? First, we'll start with the no. 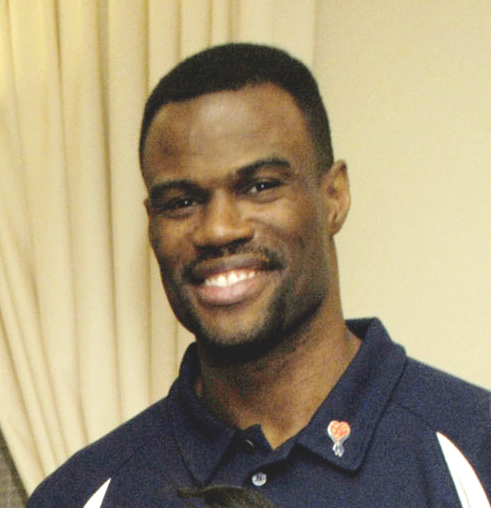 1 pick, The Admiral David Robinson. Though he still had a commitment to the Navy, Robinson was selected to go at no. 1 and his Hall of Fame career is almost enough to earn this draft a top 5 spot on its own, but you can bet your last dollar there are plenty more reasons why this one is on the list. While picks 2-4 may have ended up as disappointments, the 5th pick ended up as one of the greatest Small Forwards in history. Of course, I'm talking Scottie Pippen. 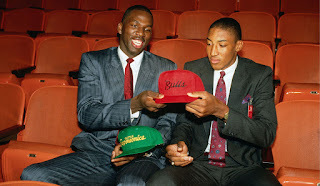 Being drafted by the Seattle Supersonics, before eventually ending up in Chicago with the Bulls, Pippen etched his name and legacy as a legend and a true great, making this draft an even easier choice for my list. 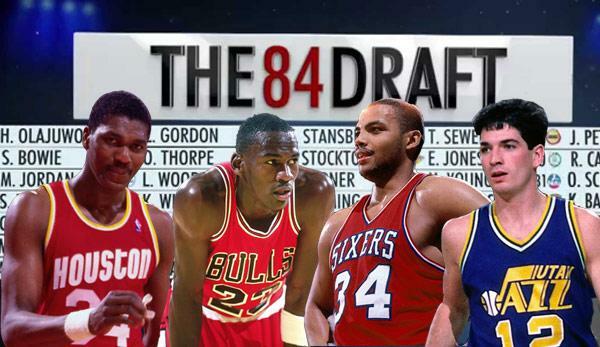 However, that's just a small tip of the iceberg for 1987 and their draft. Kenny Smith was selected 6th, legendary PG Kevin Johnson would be selected 7th, Horace Grant would be selected 10th, and the Pacers would shock the world by drafting Reggie Miller at no. 11 (they were expected to draft Steve Alford, the Indiana hometown boy, who would end up being selected at no. 26). Muggsy Bogues, a short yet resilient player was selected at no. 12, Mark Jackson went at no 18, Reggie Lewis at no. 22, and funny enough, the OKC Thunder Head Coach Billy Donovan was a third round pick in this draft. 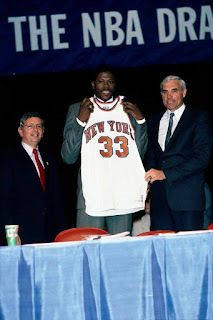 The 1987 Draft may not receive all of the glamour and flare that the top 3 do, but it is truly a solid draft and one of my favorites honestly. 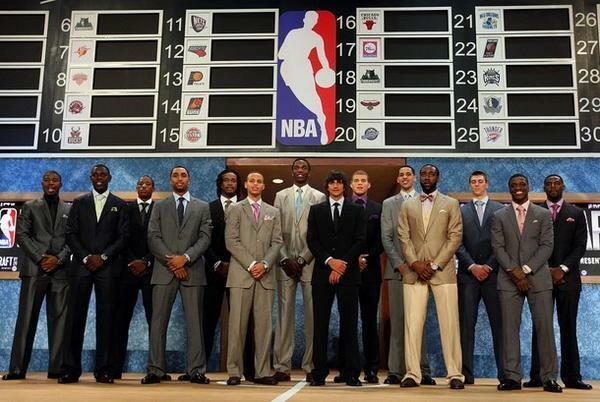 -I think this is one of the most controversial drafts of all time, but it's also one of the absolute best. There was much talk of the draft being rigged to get the Knicks the no. 1 spot, even photo evidence of the lottery envelope having a small bend in it to show it had been tampered with. Regardless, the Knicks had the no. 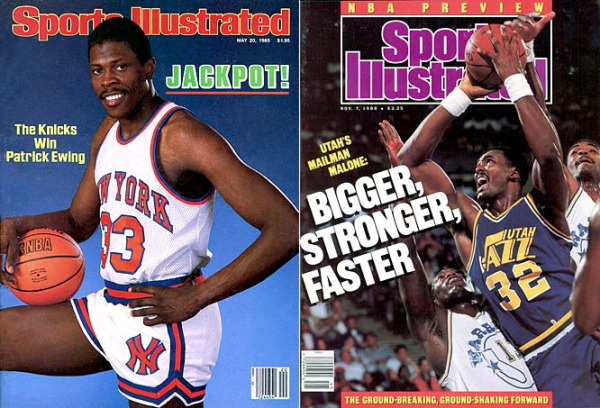 1 pick and everyone knew they were taking Patrick Ewing with it. They did. However, the rest of that draft class would fill out very nice, with Wayman Tisdale and Xavier McDaniel also going in the top 5, but it's the later picks in the first round that really excited me as a fan when looking back. Chris Mullin at no. 7, Detlef Schrempf at no. 8, Charles Oakley at no. 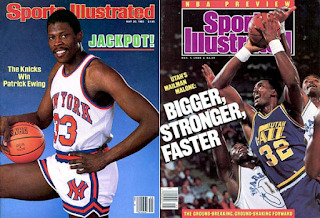 9, Karl Malone at no. 13, Joe Dumars at no. 18, A.C. Green at no. 23 and Terry Porter at no. 24 all made for an amazing first round in the draft. I was intrigued to see Manute Bol go in the 2nd round also, a big move for the Bullets at the time. 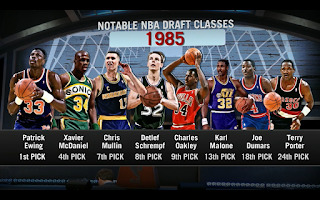 This draft was one of the better first round in the history of the NBA Draft, spawning some huge legends in Dumars, Ewing, and of course Malone, along with top notch players like Porter, Mullin, Oakley, and others. 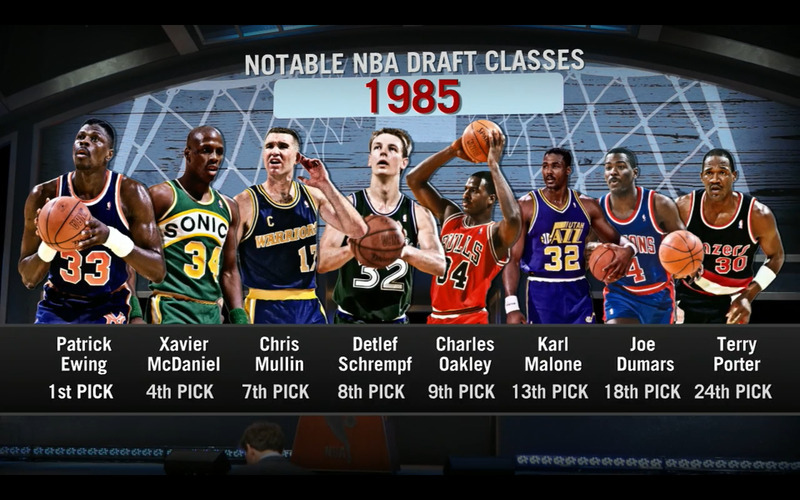 1985 is certainly a stacked top 5 NBA Draft class. -When the 2003 Draft kicked off, it was obvious to me who the top 3 picks should have been. Bron, Melo, and Wade in that order. However, the Pistons would have a different plan that I'm sure they regret now, but regardless, this draft is certainly regarded so highly for 4 of the top 5 picks and rightfully so. Any draft that has Lebron James (a top 5 player of all time), Carmelo Anthony (one of the elite scorers of the game since his arrival), Dwyane Wade (a top 5 all time shooting guard), and Chris Bosh (a formidable defender and all around player) is deserving of this spot here without a doubt. The top 5 picks are mostly etched in stone except for that shocking no. 2 pick, and that's what makes this draft so great, but there was more to it in all honesty. Kirk Hinrich, Nick Collison, David West, Boris Diaw, Kendrick Perkins, Leandro Barbosa, Steve Blake, Josh Howard and Luke Walton all makes this one hell of a draft class as well. 2003 had everything you'd want in a draft class and more, but 4 out of those top 5 are what truly elevated it over epic classes like '85 and '87. LeBron James. Dwyane Wade. Carmelo Anthony. Chris Bosh. All future Hall of Famers. 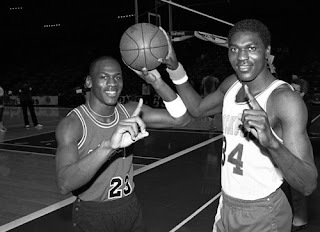 Together, they combine for 8 championships, 4 MVP's, scoring titles, and GREATNESS. This class is a part of our generation, so it is a big deal to see greatness like this. This draft class without a doubt will be known for 2 things. The top 5 players taken and the blunder of the Detroit Pistons for passing on Carmelo, Wade, and Bosh to take Darko Milicic. This draft class will have 4 players that will be future hall of famers. 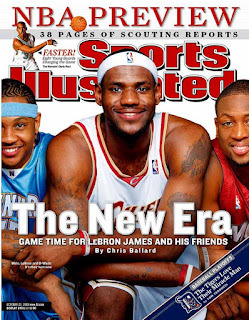 We all knew at the time what Carmelo Anthony, Dwayne Wade, Chris Bosh, and LeBron James would be, but what a lot of people overlook is that the rest of the class actually brought some solid talent. 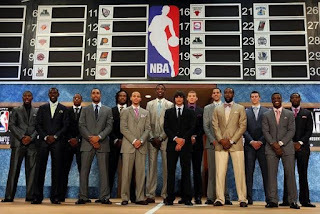 Guys like Kirk Hinrich, Steve Blake, Kyle Korver, David West, Luke Walton, and Josh Howard were in this draft class. 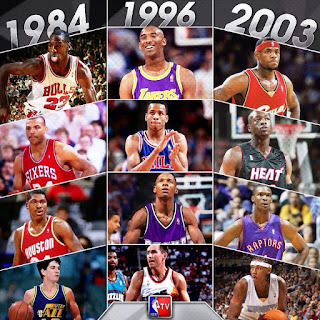 While they aren’t future hall of famers or past all-stars, they weren’t complete garbage or bust. They actually were solid players that made a difference on title contending teams as their careers went on. I feel this draft class will always be one of the greatest because of the 4 players taken in the top 5, but as a whole, this class was pretty decent. -For most, this is the no. 1 class. It spawned the greatest player of all time, and some of the greatest players at their respective positions, and it could very well be no. 1 on any other list. That's the key.... any other list. What stops this one from being no. 1? Nothing really, but perhaps the depth of the no. 1 choice is just slightly better than this class. Slightly. Regardless, 3 of the top 5 players selected would go on to have amazing careers in some form or fashion, winning MVP awards, championships and Finals appearances over the year. Hakeem Olajuwon was the no. 1 pick and he would go on to become one of the greatest centers and players of all time. 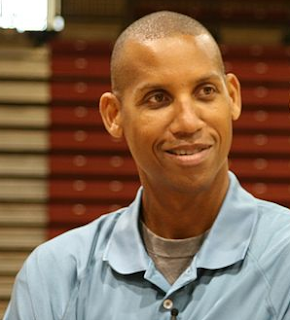 While Sam Bowie, the no. 2 pick was slightly disappointing honestly, the 3rd pick in this draft would go on to be the greatest player EVER. No one will come close to matching Michael Jordan in this lifetime and this is where his journey really began. One of the greatest Power Forwards of all time, Charles Barkley was selected no. 5 and he would begin his Hall of Fame career as well. 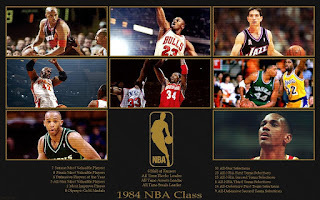 There's another legend in John Stockton, who was selected 16th, as well as other favorites of mine from this draft, Kevin Willis, Sam Perkins, Alvin Robertson, and Otis Thorpe. Truly solid class, and 3 of the top 5 make this easily one of the best period. This has been called the greatest draft class ever by so many people. This was the draft where the Trailblazers could’ve had the greatest player in the game and produced multiple hall of famers and NBA champions. Let me rattle of the names in this draft class. Michael Jordan, Hakeem, Charles Barkley, John Stockton, Otis Thorpe, and Sam Perkins. 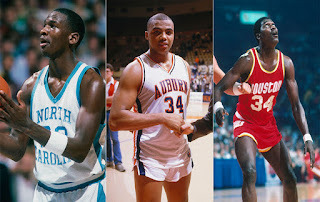 Three of the players would play on the dream team (Jordan, Stockton, Barkley). Also in this group are some of the NBA's 50 greatest that was recognized by the league and it’s obvious who those guys were. At the end of the day, this draft class will be the greatest in history to me because of the accomplishments through their careers, which are honored to this very day by multiple generations. Again, between this one or the '96 draft class, it can go either way honestly. Flip a coin. Michael Jordan. Hakeem Olajuwon. Charles Barkley. John Stockton. What a legendary draft class. Combined, these players produced for a total of 8 NBA championships (6 from MJ), 7 MVP's, and an all time assists and steal leader. Truly an incredible class. -There has never been a draft quite like this one. While 1984 had 4 legends, this draft spawned two of the greatest of all time, one of the greatest shooters ever, a ton of all stars, and the deepest talent pool ever in first round history period. The no. 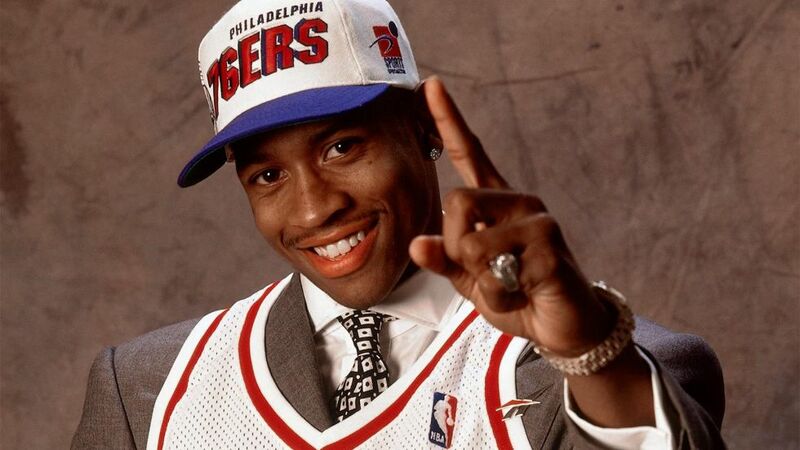 1 pick went to one of the greatest and most impacting players ever in Allen Iverson. A defensive maven in Marcus Camby went 2nd, while the promising Shareef Abdul-Rahim went 3rd and had he not dealt with the issues he did, he would be an even bigger legend. The 4th pick was Stephon Marbury, who is yet another one with a legacy behind him, much like Ray Allen, the 5th pick. All these guys were amazing players for sure, but the best player in the draft wasn't even in the top 5 and this list is already stacked as is. Antoine Walker went at no. 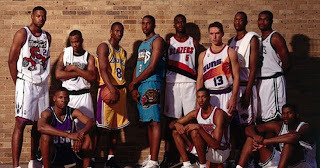 6, Kerry Kittles (a personal favorite of mine) went 8th, Erick Dampier went at no. 10, but no. 13 was the true gem in this draft, as Kobe Bryant was selected by the Charlotte Hornets, but then traded to the Los Angeles Lakers. I'd say at this point, the draft was solidified as the best or top 2 at this point, but it doesn't stop there. 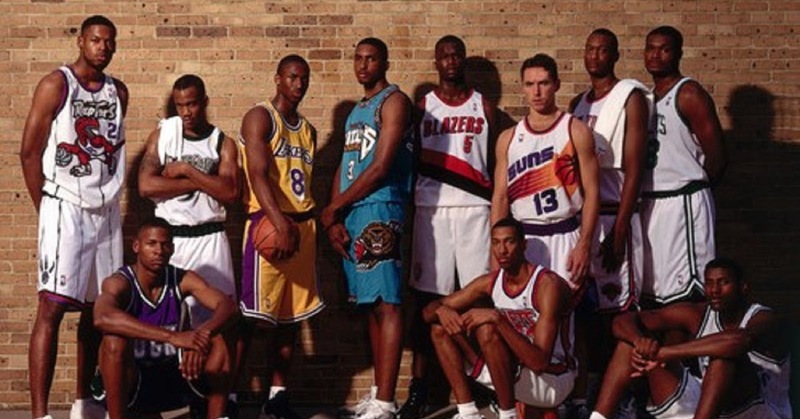 That's why 1996 is the best draft class ever, because the depth is beyond crazy. Peja Stojakovic went next in the draft at no. 14 and he surely would build up a legacy over the year, just as one of the best point guards ever in Steve Nash would, who was the no. 15th pick. The draft still wasn't done as a solid player in Derek Fisher was taken at no. 24 and Jermaine O’Neal was selected at no. 17. This would truly make up the greatest first round ever in draft history and not to mention, two undrafted players from this class became viable names as both Chucky Atkins (underrated player) and Ben Wallace made a splash in the league. 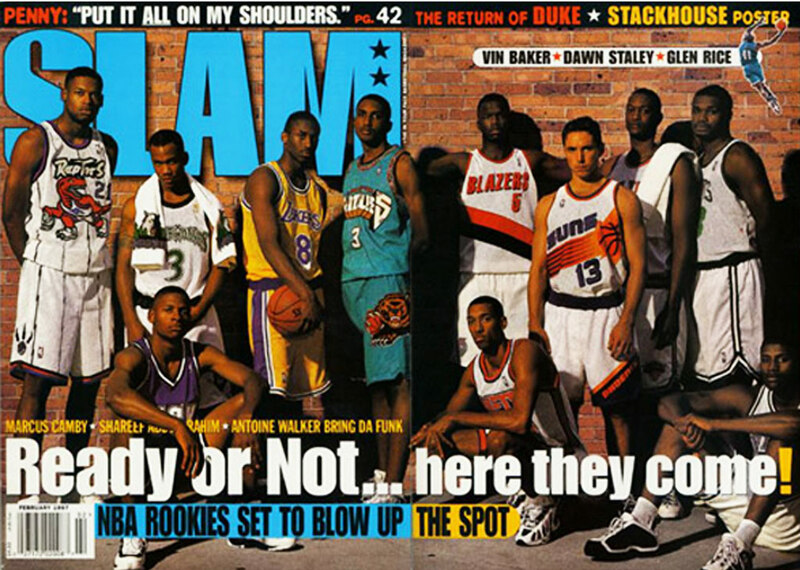 When the smoke clears, 1996 stands as the best draft class. Period. Kobe Bryant. Allen Iverson. Steve Nash. Ray Allen. Jermaine O'Neal. Peja Stojakovic. 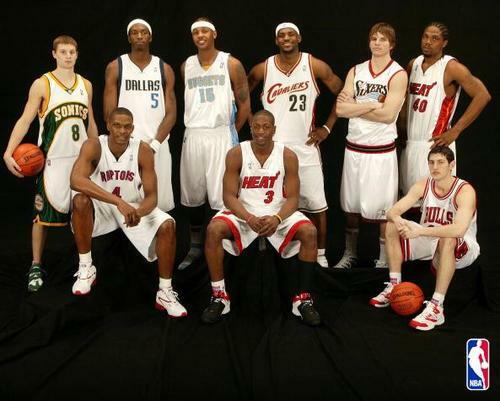 Hands down the greatest NBA class ever. This is by far everyone's favorite class of this generation, as it features some of the most influential players ever, starting with Allen Iverson. He had a huge impact with the African-American/Hip-Hop community and helped expand it to a GLOBAL fanbase. Then you have the 2nd greatest shooting guard of our all time, Kobe Bryant, who is also third on the all time scoring list. Often considered at one of the best scorers ever, Kobe is the closest thing we've ever had to MJ, so he is VERY important. Ray & Peja provided EXCELLENT 3 point shooting. Nash showed us what a true point guard is with his passing skills and his shooting skills. He was an excellent free throw shooter too. Jermaine O'Neal had a pretty impressive run with the Indiana Pacers, making it known he is a force to be reckoned with in the paint both offensively and defensively. Great draft class. The amount of talent in this draft class is always going to be top 2, unless another actually matches or does better than this one. But that seems impossible. Where can you start with this? You have Hall of Famer Allen Iverson, who would take the league by storm from the jump, and he was taken 1st overall by the Sixers. You also have one of the greatest shooters in the NBA and 2 time NBA champion that was drafted 5th overall in Ray Allen. He was drafted by the T-Wolves, who would then trade him that night to the Bucks for future NBA All-Star Stephon Marbury, who was drafted 4th overall in that same draft. 2 time NBA MVP Steve Nash was drafted by the Suns 15th overall. 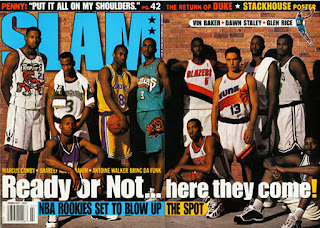 Guys like Peja Stojakovic and Jermaine O’Neal were also drafted that night. I almost forgot…One of the greatest, if not, THE GREATEST, players in Basketball was drafted by the Charlotte Hornets at 13th overall and then traded to the Los Angeles Lakers in Kobe Bryant. This draft class was absolutely loaded with talent who would win NBA championships, MVP’s, multiple All-Star appearances, movies, you name it. For a lot of us who were young at this time, we grew up watching this class progress as their careers went. It had a lot of great moments that we will never forget. Not to mention solid guys who hardly get love in this class like Derek Fisher, Antoine Walker, and Marcus Camby to name a few. Another thing this draft class also had was one of the best non drafted hidden gems in the history of the game in Ben Wallace. Remember no team drafted him and he would go on to have a pretty good career himself. 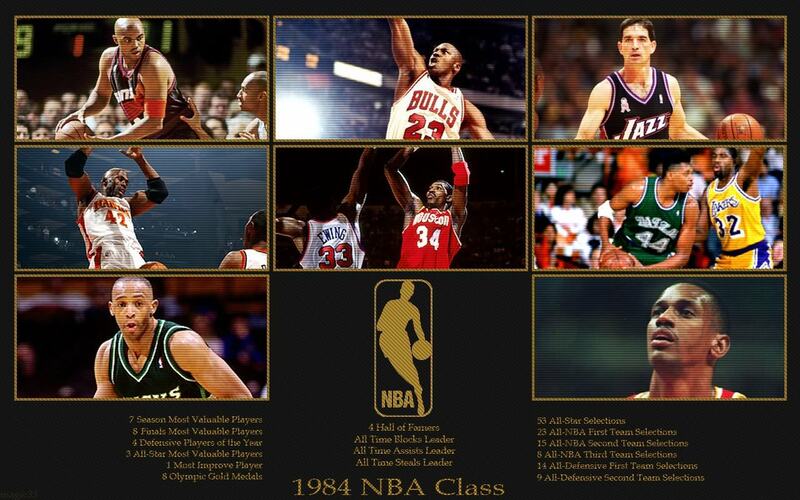 When you look back at it, this draft class has a legit argument at being the greatest ever. Is there a draft that we missed on the top 5 or honorable mention? Let us know, and be sure to put your opinion below in the comments. All opinions are welcomed.